Viewership statistics from YouTube indicate that it is visited by over a billion unique users every month. Therefore, it is a good virtual place for businesses and organizations to advertize, market or promote their products and services. They can easily do this by creating a YouTube channel where they can upload videos about their products, services or other value-added materials such as training videos for their current and would-be customers. Billions of hours of video are watched on YouTube each month by people all over the world. A 2010 study showed that about 3 percent of people are watching ‘how to’ videos, in addition to the 4 percent who are watching educational videos at any time. It is likely that a significant number of adults across the globe are searching for and watching educational and training videos at any time. These types of videos are preferred by many because training videos cater to both visual and auditory learners. Moreover, busy professionals such as project managers can choose the time when to watch these videos, repeat them as often as they like, and even subscribe to specific channels of interest. Below are ten YouTube channels that have multiple relevant videos about the topic of project management. Some of these channels are by PM software vendors, PM institutions, professional consultants and educators. Some of the considerations in the selection process are the number of videos, views, subscribers and continuing activity. This project management channel is from an online PM software vendor. They joined YouTube in March 2011. They have a total of 137 videos, more than 14,000 subscribers and have received 1.4 million views. Most videos show a person teaching or discussing PM principles, processes and practical tips while engaged in a project. This channel is a compilation of learning videos about PM and virtual design and construction. The identity of the channel owner is not given, but they joined in March 2008. It has 173 videos, some about PM and some about virtual design and construction. It has received over 329,500 views. The PMI is the profession’s largest membership association. This channel began in October 2009. It has 99 videos, has received more than 152,000 views and a subscriber base of 3900. The videos vary in content with some containing news about the Institute, interviews of prominent personalities, or special topics like volunteerism. The channel is registered to the website tutorali.com which joined in February 2013. The website is from a company called Teaching and Placement in IT (TapinIT). It has 60 videos, 3200 subscribers, and 341,000 views. Some of the videos are about PMBOK and PMP training, while the rest are about AutoCAD instructions. The channel is registered to chriscrofttraining.co.uk., which joined in December 2007. Chris Croft trains individuals and companies about PM, time management, sales, and other business principles. It has 77 videos, which has received a total of 264,000 views. Some of the videos are about PM principles, practical tips, and occasional music videos. 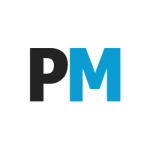 The project management channel is from APM.org.uk., which is the largest professional association of its kind in Europe. They joined YouTube in May 2010 and have uploaded 105 videos. They have received 49,000 views. The videos are about association news, lectures, and PM principles training. The IIL joined YouTube in November 2009. It is a training, consulting, coaching and educational provider for many companies. The channel has a total of 101 videos that range from events such as the International PM Day, conversations with experts, and practical tips. It has received 109,000 views. The project management channel is from Adept Knowledge Management, Ltd, a PM training and consultancy firm. It joined in August 2011 and has uploaded 13 videos. However, they have already received 82,000 views and 368 subscribers. These videos are short tutorials of specific topics such as critical path analysis and earned value analysis. The channel is maintained by iZenBridge Consultancy, a private limited company and Registered Education Provider by the Project Management Institute and SCRUM Alliance. Mr. Saket Bansal, PMP, PMI-ACP, founded the training and consultancy company which provides classroom and online certification training courses for clients in over 50 countries. PMP, PMI-ACP, PMI-PBA, SCRUM, SAFe Agilist, Kanban and other advanced agile programs are the courses offered. The channel hosts videos that introduce the courses, provides free webinars and also recorded Google Hangout discussions on various PM topics. 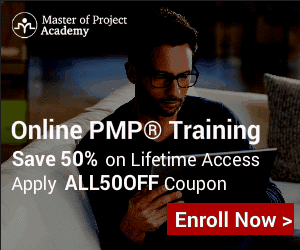 This project management channel is from PMP exam training and e-learning company PM Champion. They started the channel in November 2010. The channel has 21 videos which have received 16,000 views. 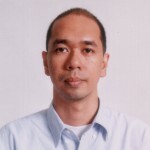 They are mostly about descriptions of a PMP, the certification test, the PMBOK, and practical job tips. These are but a few resources where PM-related videos can be found in YouTube. Some channels have too few PM-related videos to be included on the list, like Doodle Slide, while some have a very broad range of content like lynda.com. But because 100 hours of video are uploaded every minute on YouTube, all lists will change eventually, this one included. Very informative, great article. thank you for posting. I believe that , iZenBridge Consultancy Pvt Ltd is one of the most important YouTube channel in PMP field. Thank you Saket and Tarik, we’ll review the iZenBridge channel shortly. Thank you for including our channel.